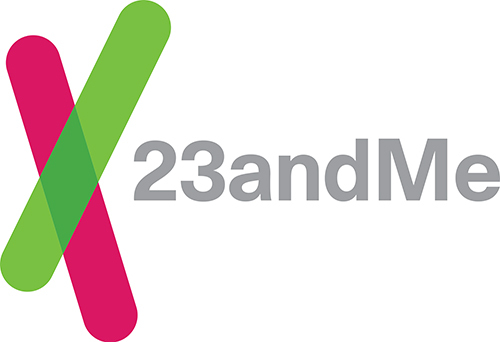 The FDA has granted 23andMe authority for marketing a direct-to-consumer genetic test, nearly a year and a half after forcing the company to stop selling its Saliva Collection Kit and Personal Genome Service® (PGS), and submit to agency review of its test as a medical device. 23andMe won authority to offer a Bloom syndrome carrier status test indicated for detecting the BLMAsh variant in the BLM gene, based on saliva collected using an FDA-cleared collection device, the Oragene DX model OGD-500.001. The test is designed to assess users’ carrier status for the rare inherited gene disorder, which is characterized by short stature, sun-sensitive skin changes, an increased risk of cancer, and other health problems. However, the company cautioned that it will not immediately begin returning Bloom syndrome carrier status test results—or any other health results—to customers until it completes regulatory reviews for additional test reports, and thus can offer a more comprehensive product offering. In addition to giving its authorization, the FDA said separately it will classify carrier screening tests for autosomal recessive disorders as “Class II” devices, and will issue a notice announcing its intent to exempt these devices from premarket review, with a 30-day comment period. “The FDA believes that in many circumstances it is not necessary for consumers to go through a licensed practitioner to have direct access to their personal genetic information,” Alberto Gutierrez, Ph.D., director of the Office of In Vitro Diagnostics and Radiological Health in the FDA’s Center for Devices and Radiological Health, said in an agency statement. The statement also justified FDA’s actions as supporting innovation and ultimately benefiting consumers. The agency was accused by free-market advocates of trampling on both in November 2013 when it ordered 23andMe to stop selling its Personal Genome Service and directed the company to seek approvals for its test. The agency cited what it called the potential public health consequences of inaccurate results from the PGS device. 23andMe’s Bloom syndrome carrier status test was evaluated through the de novo regulatory pathway, designed as an alternate path to classify new devices of low to moderate risk that are not substantially equivalent to an already legally marketed device. The de novo pathway was created by the Food and Drug Administration Modernization Act of 1997 (FDAMA). While devices that are classified through the de novo process may be marketed and used as predicates for future 510(k) submissions, 23andMe said it submitted its application for review under standard 510(k) requirements. Because the direct-to-consumer test being reviewed was the first-of-its kind, the FDA determined that 23andMe's submission did not have an applicable predicate device, and converted it to a de novo request. 23andMe said it met FDA premarket requirements by demonstrating accuracy, validity and user comprehension, since its “spit kit” and chip array platform were validated for determining whether or not an individual is a carrier for the genetic markers for Bloom syndrome. 23andMe said it conducted “extensive” comprehension studies with consumers from different backgrounds, education levels and incomes, as well as an accuracy study performed at two lab sites with 70 samples. The samples included sixty-five saliva samples and five human cell line samples with known BLMAsh variant status. Results of the PGS test for Bloom Syndrome were compared with sequencing results, showing agreement in all 70 samples. Also carried out was a validation study in which 2,880 sample replicates were run under standard 23andMe lab procedures, followed by an additional study of 105 saliva samples without the BLMAsh variant. Samples were tested by comparing results between both lab sites. In addition, a user comprehension study was performed to assess how well people understood the PGS Bloom syndrome carrier status test reports. A sample desuigned to be representative of the US population reviewed and answered questions about the test report in a moderator-controlled setting. More than 90% of participants indicated they understood the test results, 23andMe said.